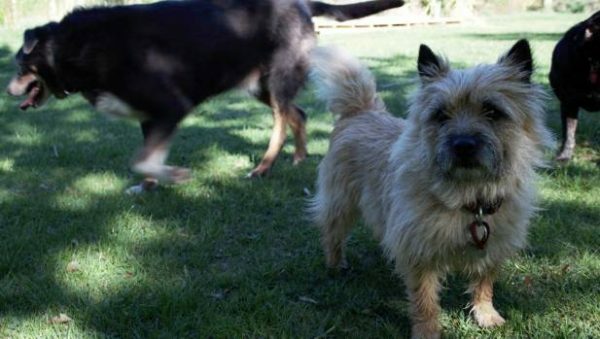 An old dog that usually spends most of its days at home disappeared for an unusually long time one day. By evening, he had finally returned, but totally exhausted. The worried family had no idea where he had wondered off to, until they saw a note someone had left around his collar, telling of the dog’s heroic deed that day. Louie the sheepdog lives with Marolyn Diver’s parents in New Zealand. He had always been an adventurer until he got a little too old. Now, being over 12 years old—or 64 in dog years—he passes his days at home most of the time. So, when Louie was outside longer than usual one day in October 2017, the concerned family knew something was up. The old dog finally showed up later that night, totally drained of energy. He was so tired that he pretty much just collapsed upon his return. That’s when his owners noticed a note attached to his collar. Rob, who is Maddy’s owner, is a farmer friend who lives about a mile away. He told Marolyn he couldn’t find Maddy earlier that day, but he had to run errands out of town. 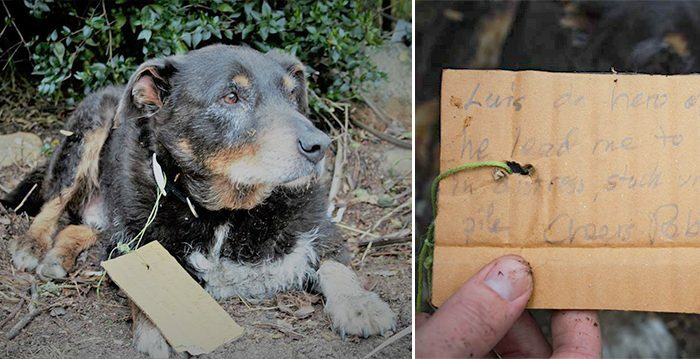 When he returned, he found his dog wasn’t at home; only Louie was there. Louie then started signaling to Rob in every possible way to get Rob to follow him. After Rob got the hint, he followed Louie to a woodpile, where they found Maddy trapped underneath. Both Rob and Louie helped dig Maddy out. Louie was digging underneath the branches, whilst Rob was trying to pull off the fallen branches. Eventually, the dynamic rescue duo freed Maddy. Rob had thought that Louie might be in trouble for being gone from home for so long. So, he wrote the note and attached it to Louie’s collar, a little testimony to his heroic deed. Although Louie’s family were glad to see him back, they were worried about their old dog. “That night we were very worried about Louie. He could hardly walk and looked terrible,” Marolyn recollected. “We were scared that he might not make it through the night.” But after a night of well-deserved rest, Louie seemed a bit better. 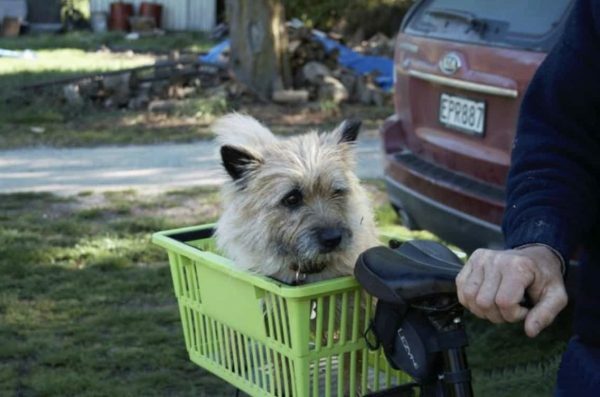 It was only when Rob rode Maddy over the following morning in a little green basket that Louie perked right up.